Arts and Craft was the most difficult subject for me during my childhood as I was never motivated and inspired to create something out of the old boxes and colorful chart papers presented by the teacher. I always wanted my mom or cousins to complete my assigned tasks as I could never think of anything creative myself. But once I became a father and my daughter started watching M.A.D with Rob on Pogo TV, I started watching it too. I used to put in some efforts to do some Rob stuff with her. It became her dream to meet him in person. I won a contest for one of the project my daughter did in her school and was called for a live shooting for the show with her mother. It was a dream come true for her and myself also as I was able to fulfill hers. Check out the blogpost here. Now, in this fast internet age, kids don’t want to wait for the normal timings of the show on TV. Youtube is the biggest source of learning and inspiration to learn whatever you are passionate about and considering the same Rob also has come up with special channel for kids and parents to subscribe to. 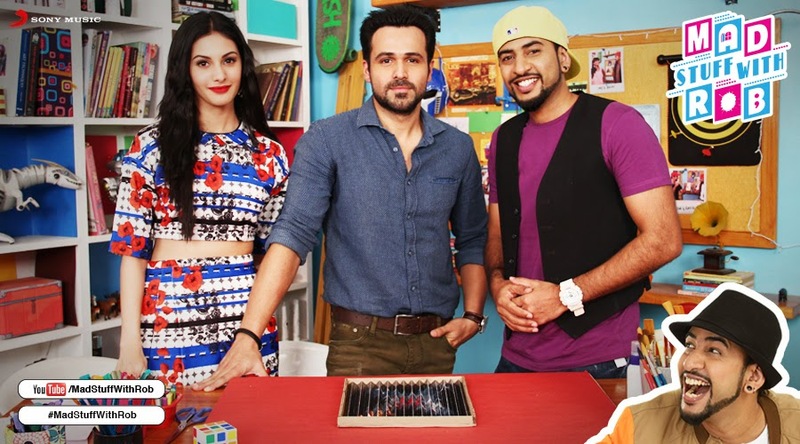 There’s more to the MadStuffwithRob channel, recently #MrX – Emraan Hashmi and Amyra Dastur has visited the sets to create a special episode and have fun on the go. This can tell us a lot about the popularity status of Rob and his craft amongst the kids and adults alike. Checkout some of the pics from the episode and get ready to learn, relearn and unlearn some of the arts & crafts you learned ages ago while you were in school. Mr. X is a science fiction thriller that has Emraan as a vigilante superhero with the power of becoming invisible. The movie has released today on 17th April 2015 in India and other countries. Also the movie is available in both formats of 2D and 3D for everyone to enjoy the same. The music has already been liked by fans worldwide. Check out this movie this weekend in the nearest cinema and multiplexes. I have already subscribed to the channel and will start watching the same with my daughter this weekend. 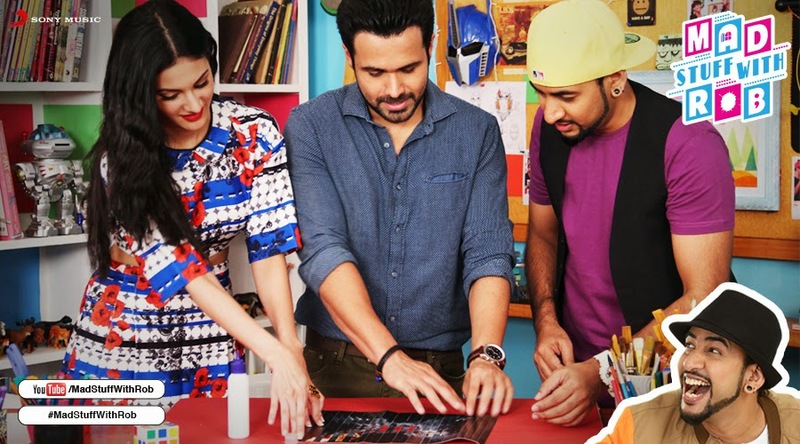 Also, checkout the Indian superhero stories by watching what MrX has to offer to all of us in the theatres. There is added benefits for those who have free creative time as they can earn to do projects for others and can fill their piggy banks very soon. #DriveConscious - Make an efffort to stay safe!